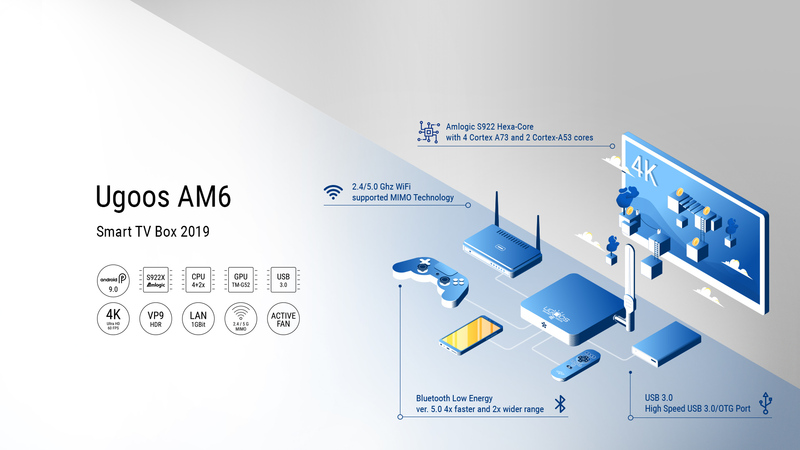 AM6 will get USB 3.0 Fast USB, Bluetooth 5.0, WIFI 5.0/2.4 GHz with MIMO RSDB Technology Support, Wake on LAN function, active fan with control and other improvements. Device will come with latest Android 9 OS on board. The wireless module complies with IEEE 802.11 a/b/g/n/ac 2x2 MIMO standard and it can achieve up to a speed of 867Mbps with dual stream in 802.11n to connect the wireless LAN.